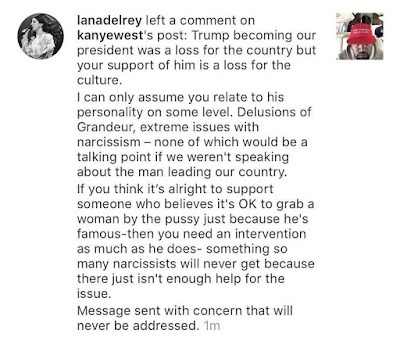 Lana Del Rey, who performed at Kanye West and Kim Kardashian’s wedding, has dragged him over his recent support of President Donald Trump. 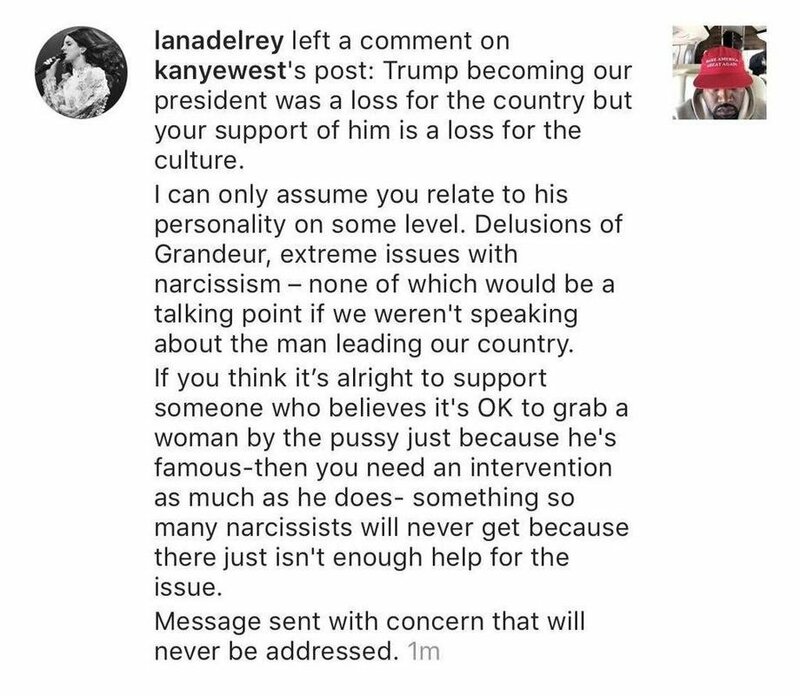 Lana tells him that Trump becoming our president was a loss for the country, but his support of Trump is a loss for the culture. Seeing his pro-Trump post on Instagram where he is pictured wearing a MAGA hat proved a little too much for Lana. I applaud Lana for writing this on his Instagram post, because somebody needed to say it. Chick is the real MVP for speaking out. 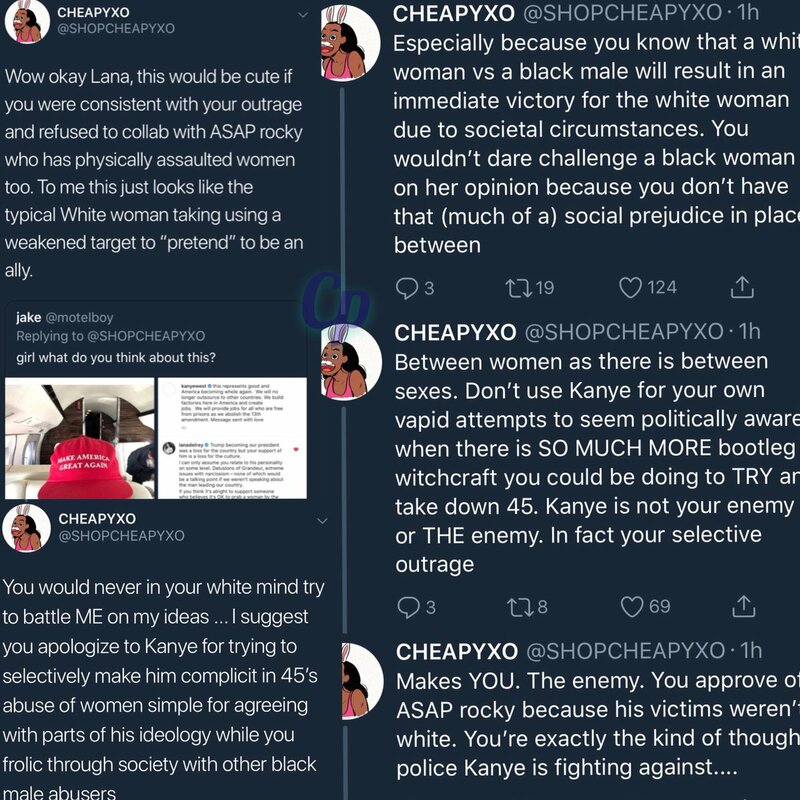 Azealia Banks doesn't agree suggesting Lana apologizes to Kanye. Honestly, that woman latches on to anything to get a headline. 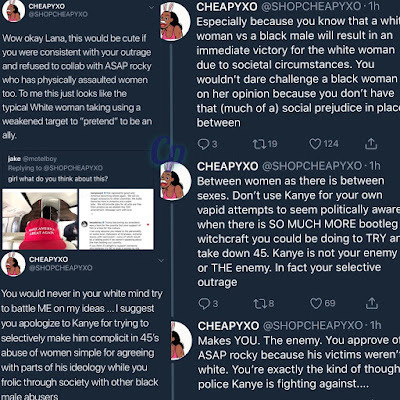 One self-hating black defending another self-hating black? What's new?